This week we got a glimpse of the UK Government’s view on the space industry, with the publication of Satellites and Space: Government Response to the House of Commons Science & Technology Committee’s Third Report of Session 2016/17. The original report was published in June and contained a series of recommendations, to which the Government responded. Firstly, it comes just before the European Space Agency (ESA) Ministerial Council taking place on Thursday and Friday this week in Lucerne. We highlighted the importance of this meeting in a recent blog. Secondly, it has taken the Government five months to respond, something the Committee themselves were disappointed with. For us, and the ESA Ministerial, the most interesting comment was that the Government reaffirmed that the UK will remain a member of ESA after Brexit. It also noted that “The UK’s investment in the European Space Agency is an important part of our overall investment in space, from which we obtain excellent value.” Whilst the level of financial commitment to ESA won’t become clear until the Ministerial, the mood music seems positive. The role of the Space for Smarter Government Programme (SSGP) was highlighted, particularly in relation to helping the Department for Environment, Food and Rural Affairs use satellite data more. As part of SSGP we ran a successful Flood Mapping project during 2015/16. SSGP is running again this year, but given the importance placed on the programme on embedding space activities within Government it was disappointing not to see a further commitment beyond March 2017. A business plan for a Government Earth Observation Service is currently being written, which is aimed at increasing the uptake of EO data within Government. We’ve not seen too much about this service yet, and will be very interested in the business plan. Responding a question on harnessing the public interest in Tim Peake’s time in space, it was nice to see the work of the EO Detective highlighted. This is a fantastic project that raises awareness of the space industry in schools, and uses space/satellite imagery to help children explore topics such as climate change. “The Government intends to establish the UK as the European hub for low cost launch of small satellites.” It’s an interesting ambition; although it’s not completely clear what they mean by the term small satellites. As we described last week definitions are important. On top of the three points above there were some words on funding for space related research; however these amounted to no more than an acknowledgement that various Government bodies will work together. There was also reference to the development of a new Space Growth Strategy, something we’ll talk more about in two weeks. The Government’s response to this report was an interesting read, and whilst there are still a lot of unanswered questions it does hint at cautious optimism that they will support the space industry. Overall, ESA’s 22 member states plus Slovenia and Canada allocated €10.3 billion for space activities and programmes over the next five years. This includes an EO programme valued at €1.37 bn up until 2025. 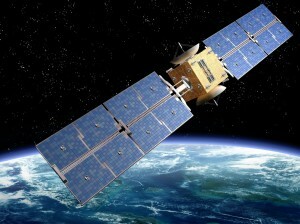 €670.5 m for satellite technology including telecommunications, navigation and EO. €82,4 m for the ExoMars programme. This entry was posted in Data, Earth Observation, Education, ESA, Flood Mapping, Policy, Remote Sensing, Research, Space Industry, UK Space Industry and tagged Brexit, Earth Observation, EO Detective, ESA, ESA Ministerial, European Space Agency, satellite, science, Science & Technology Committee, Small satellites, Space, Space for Smarter Government Programme, SSGP, technology, UK Government by Andy. Bookmark the permalink.